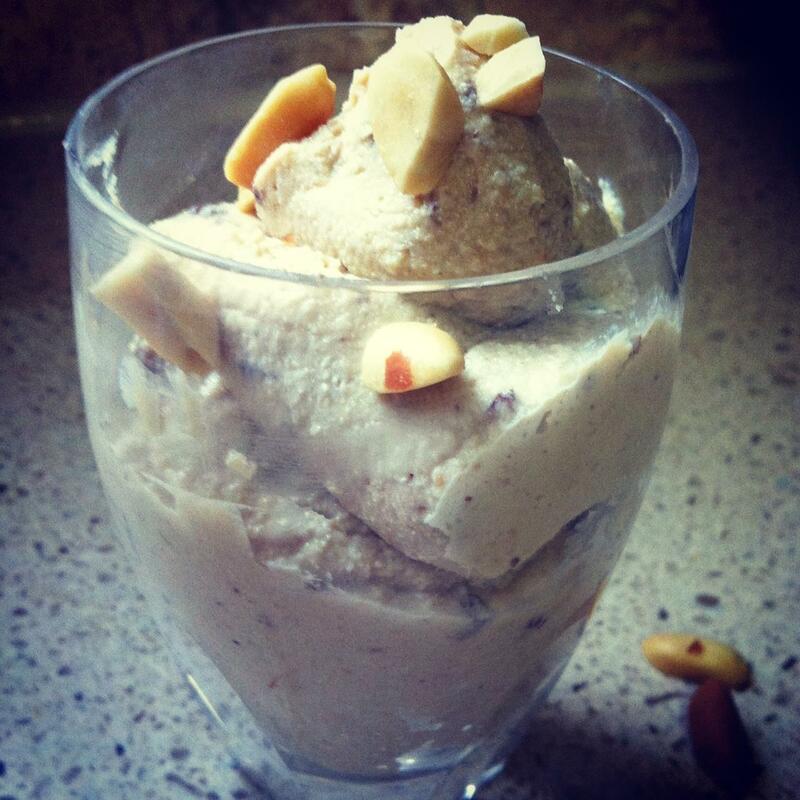 Easy Guiltless Peanut Butter Custard?! I have recently discovered just how cool tofu is. I was perusing foodnetwork and discovered that Alton Brown (one of my favorites) makes a “Mooless Chocolate Mousse Pie” with TOFU! I know, tofu. It even sounds gross when it rolls of the tongue… toe-foo… but it really is an amazing ingredient. It adds richness, depth and texture to any dish, especially desserts! So I decided to experiment. One of the things that makes tofu so versatile and so good for desserts is its rich texture, yet relatively innocuous taste, allowing it to take on flavor of anything you mix it with. I am just beginning to discover the many magical uses of tofu, so stay tuned for many more wild and wacky tofu recipes, this will not be the first, I am just way too excited about this. But here is my recipe for Peanut Butter (tofu) custard. Note: you could omit the raisins, but I LOVE peanut butter with raisins so I add them. If you omit raisins, you might want to add a tad more sugar. Throw all of the ingredients into a food processor and process until very smooth. Top with some chopped peanuts if desired. It is so rich and flavorful, I promise, even you won’t remember that the base is tofu.